The familiar controls of the 1911. The enhanced capacity of a modern pistol. If you love the familiar controls and proven operation of the classic 1911—but demand the higher capacity of a modern pistol—the American Classic XB delivers. 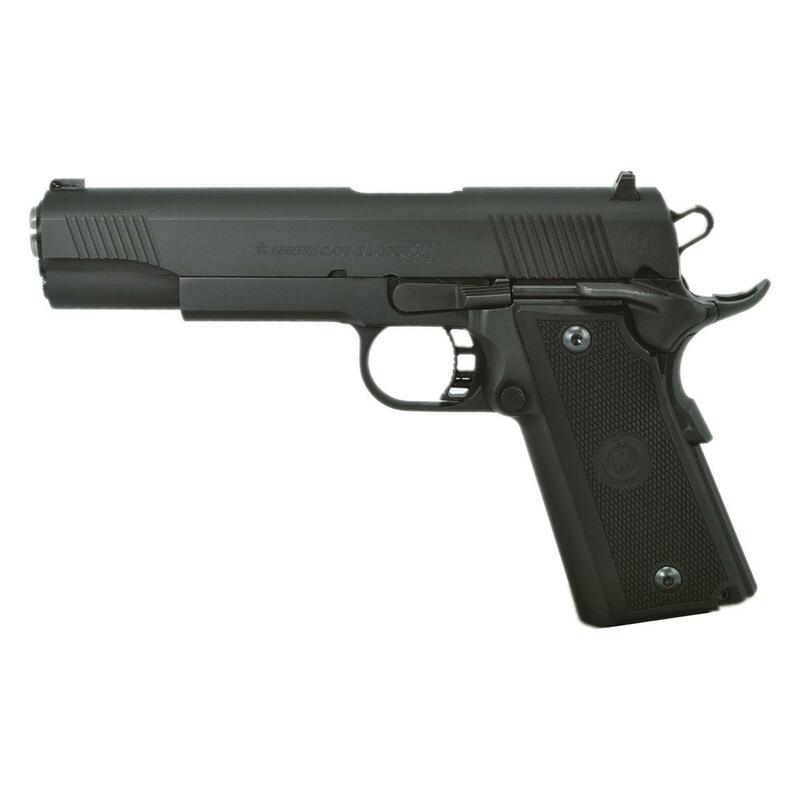 It's built around a specially designed, high-capacity 4140 steel frame that accommodates a 17-round magazine while providing the 1911's trademark strength. That means you get the superior payload of a modern auto, but in a classic configuration you've been using all your life. And the icing on the cake? The added weight makes it a sweet shooter. Each American Classic XB is hand-fitted, and comes standard with Tapan-type high-visibility sights, front and rear serrations, skeletal trigger, and a lowered and flared ejection port for reliable extraction. 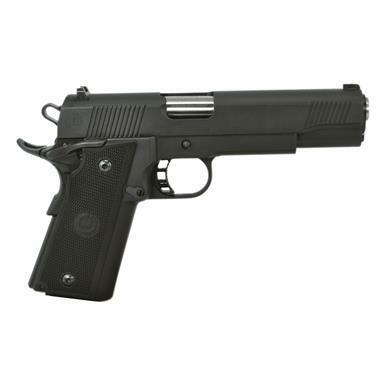 The beavertail grip safety, thumb safety and slide stop are right where you expect them to be on a 1911.